When it comes to bullying. Which is better? Prevention? Or Extinction? Well – obviously – prevention is better. If you can prevent the problem from occurring, then – you have no problem to deal with. The problem with this approach is that – it doesn’t help people currently experiencing a problem. People who are being bullied – need to know how to make it stop. Not – how to prevent it. It’s already too late to prevent it. The good news is that we don’t actually have to chose. If we teach how to make it stop – we are also teaching how to prevent it. The reverse, however, is not true. Teaching how to prevent it – does not teach how to make it stop. It is for this reason that I keep pushing – behavioral elimination or extinction. We need to start teaching people how to get unwanted behaviors to stop. Once we do that – we will not only eliminate the unwanted behaviors – we will protect ourselves from the next problem. Elimination – is the ideal. 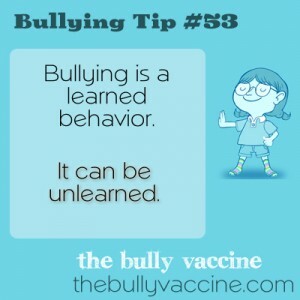 To learn how to eliminate bullying – Join this site, Get my Book and Learn how to stop bullies.